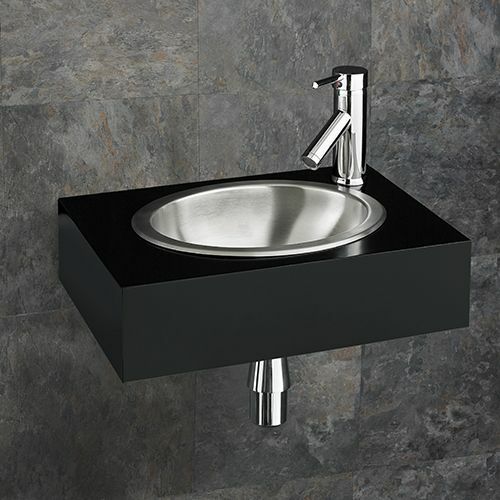 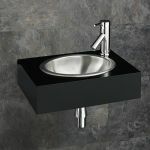 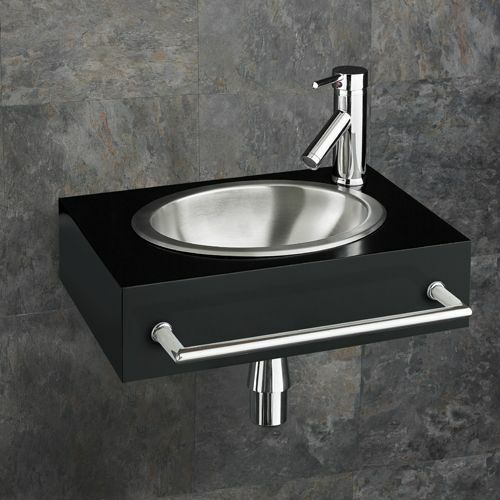 This brand new wall mounted black wooden shelf with stainless steel wash basin has been designed specifically for Clickbasin. 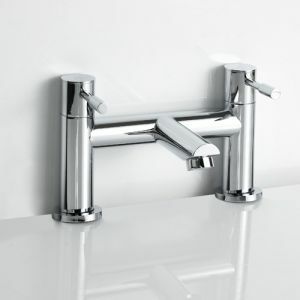 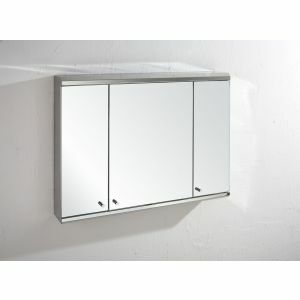 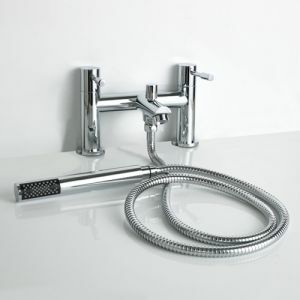 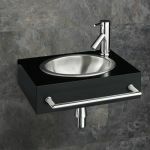 Tasked with creating a small and practical, yet stylish and cutting edge, our designers came back with the Stark Wall Mounted wooden shelf with neat and tidy inset stainless steel hand basin set that includes tap, bottle trap, waste and is available with or without front towel rail - for if space is at a premium. 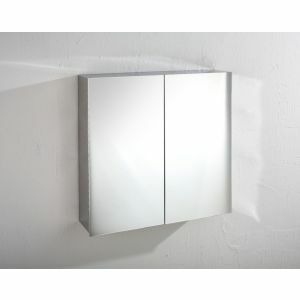 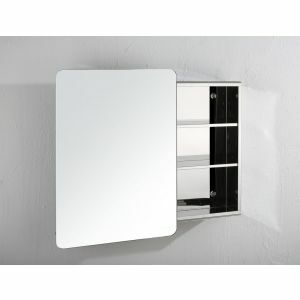 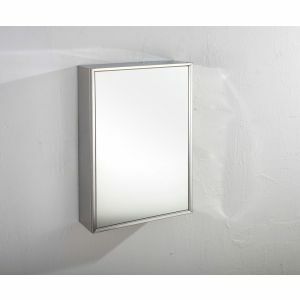 The piece, when put together is perfect for smaller spaces, where a clean contemporary look is required. 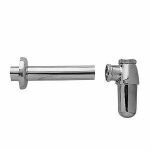 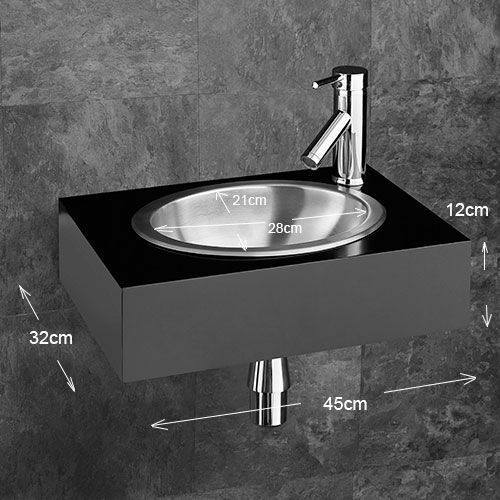 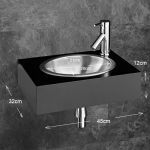 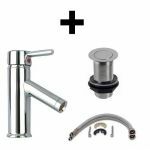 The set is supplied with the basin already mounted to mean a simple and easy install - perfect for any level of experience!